The laboratory of Gladstone Senior Investigator Benoit Bruneau, describe the sequential order and timing of signals that spur the formation of arteries. 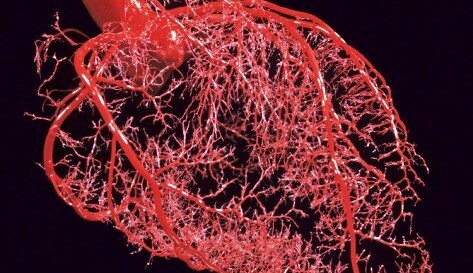 The past, circulatory dynamics were thought to be the exclusive cause of arteries and veins being structurally and functionally distinct; however, growing evidence indicates that an orderly progression of molecular signals controls arterial–venous specification in the developing vertebrate vascular system. The researchers piece together a molecular signaling pathway that directs the activation of Delta-like 4 (Dll4) with the help of a protein called vascular endothelial growth factor (Vegf). This protein is critical to Artery formation. This research is important not simply because it reveal the molecular link between Vegf and Dll4, but also because it illustrates how signaling cascades can direct genes – which are in general active throughout the embryo – to perform tasks only in specific cell types.